B Side Mikey Show / Manowar 1-27-18 – Radio for the People, by the People. Back from the holidays / some planned prior events & engagements, to rip out some MANOWAR! 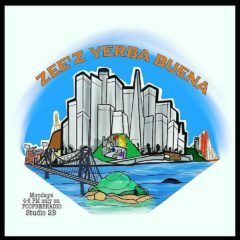 LIVE in studio 2B from 8-10 PM TONIGHT is where it goes down. Check it on your phone with the Tune In App. When was the last time you had 2 hours of MANOWAR in your ear holes? A band that dressed the part so to speak as there amazing musicianship gave us some great tracks over the decades. I’ll lean on the older stuff which my opinion was amazing. The octaves that singer hits, simply blows my mind, so this will be fun! Hats off to Marga Beggars in Spain who gave me the hint with a Facebook post a month or so back in time. Friend me on Facebook @ Michael S Sojda. Check the biz page @ B Side Mikey Show & Remember don’t drink & drive!